Kent Vegan Festival is run by Kent Vegan Events. It is an inclusive, ethical festival that is animal-friendly,earth-friendly and human-friendly, with the aim of showing that humans areinextricably part of nature and not separate to it. 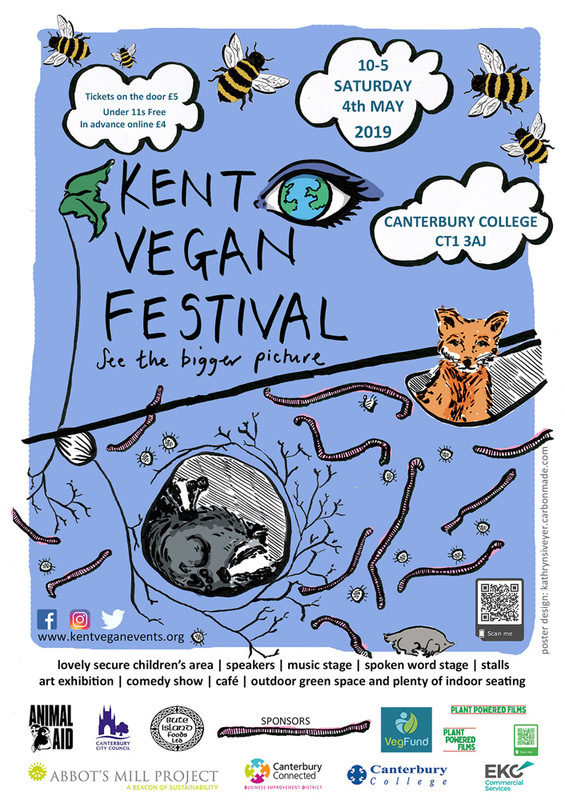 The 5th Kent Vegan Festival (at Canterbury College for thesecond year) promises to be the biggest and best yet – with around 70 differentstalls, over 10 excellent speakers, including Corey Wrenn, founder of the VeganFeminist Network, a comedy show, poetry stage, music stage with Rudy Warman andthe Heavy Weather headlining, the Art of Compassion Project exhibition(and wonderful vegan art sale) and a great children’s area in a lovely, secure,green space with a tipi and loads of vegan-related, ethical and fun activities.